-- QUEEN-size bed, sleeper sofa and bunk beds. -- Expanded cable TV service, second TV in bedroom. --Convenient access to all that the Mount Washington Valley has to offer. Winter, spring, summer, fall - our country cottage offers a great location in a peaceful valley of land on the Jackson, NH town line with a brook running through the open space. A bonus: access to outstanding amenities, including year-round pools and Jacuzzis. Our private freestanding cottage (this is not a condo) is part of a small cottage community. The cottage has two rooms: a bedroom with a queen-size bed and a main room that includes bunk beds (the bunk bed area is separated from the main room by sliding barn doors). The main room also includes sleeper-sofa, loveseat and kitchen table/chairs in front of a large casement window with wooded view, as well as a fully-stocked kitchen. Convenient location offers easy drive to all White Mountains attractions. Deck with grill and picnic table; second deck to the side of the cottage -- both overlooking ample open space for playing and exploring. Safe, quiet area with very little traffic. Amenities, including indoor and outdoor pools, Jacuzzis, steam room, sauna, game-room pavilion, tennis, rowboats in summer and ice-skating in winter located in Nordic Village resort across the street from cottage. Due to allergies: cottage strictly no pets, no smoking. The cottage is less than a mile from Storyland, NH, and about a mile from the picturesque village of Jackson, NH. We are 15 minutes from the shops and restaurants in North Conway; about 13 miles to Mount Washington. The cottage is within about a half-hour's drive of 5 ski resorts (which have summer activities as well): Attitash, Cranmore, Wildcat, Black Mtn. and Bretton Woods. To keep our rental rates low, we do not charge an extra cleaning fee but we do not supply linens. However, for guests traveling from a distance or by airplane, or those who simply want this convenience, our cleaning service will supply linens (sheets and towels for bath, pool, and kitchen) for a $50 fee. 1 queen, 2 twin (bunk beds), 1 sleeper sofa. Year-round heated outdoor pool & outdoor jacuzzi; indoor pool and jacuzzi; game room pavilion; rowboats; bonfires; deck. Mountain air, fans and air conditioner for summer. Gas heat in winter.WiFi and expanded cable TV. The cabin is cozy, but even with five of us we had enough space! It had everything we needed for a ski weekend close to Attitash and we'd happily return again. Super cozy and plenty of space. Linda’s place was so cute and homey. Very clean and had all the amenities you could need. Close to ski mountains and plenty of good restaurants to eat at. Would love to stay here again in the future! Well, the cottage was above our expectations and super close to Jackson Village for cross country skiing. It's perfect for a mid week winter getaway for a couple. We had to contact the owner with a question and received a quick reply. Also, the cottage was clean and well stocked with blankets and pillows and it was bigger than we expected. I would recommend this rental to anyone looking for a cozy and comfortable place for a getaway. Winter or Summer. Cozy cottage was perfect for our family of four on our ski weekend, location...location...location. Linda was a great host and extremely responsive when we had questions. Would most definitely recommend to others. Absolutely LOVED this cottage and would highly recommend to everyone!!! Truly a wonderful experience. Amenities located at Nordic Village Resort include year-round (very pleasant, even in winter) outdoor heated pool, indoor pool, indoor and outdoor jacuzzis, steam room, sauna, fire pit, ice skating & game room pavilion. (Summer: rowboats, tennis and seasonal entertainment). 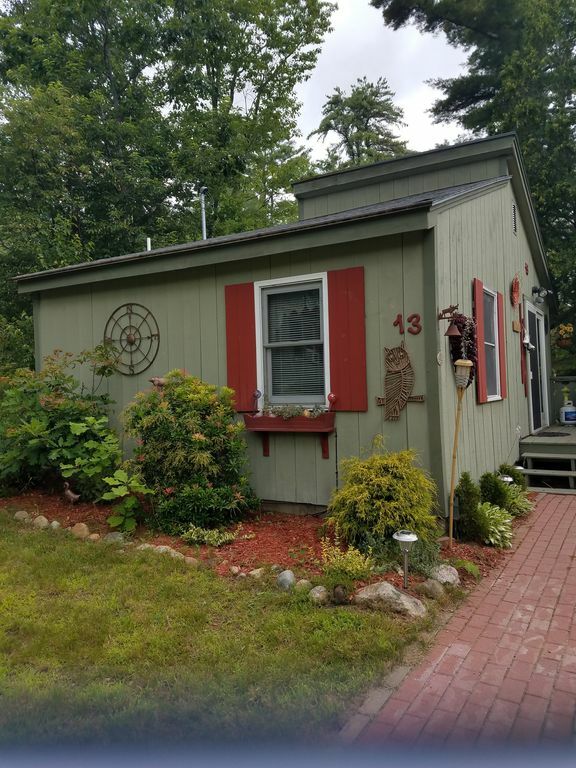 Cottage is less than a mile from Storyland and Heritage, NH, attractions, yet located in its own peaceful and quiet valley of land. 15 miles from Mount Washington. Ten minutes to Attitash-Bear Peak. About a mile from the picturesque village of Jackson, NH. Outstanding foliage viewing. Close to 5 ski areas and many White Mountains attractions, hiking, kayaking, golf courses, Echo Lake State Park, cog railway, scenic railroad, and more. About a 15 minute drive to North Conway shopping and outlets. Location offers day trips to the Kancamagus Highway; Lincoln/Woodstock, NH; Flume Gorge; Santa's Village; Six Gun City; and Sunday River in Maine.